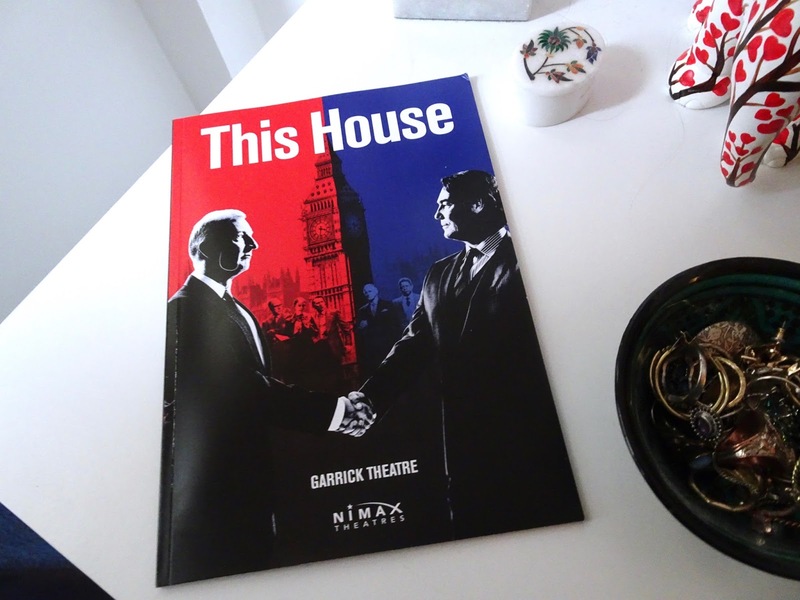 This House is a fictional account of the House of Commons during 1974 and 1973, inspired by very real events. James Graham’s play follows the daily conflicts and battles between both Labour and Tory whips during this highly turbulent political period. 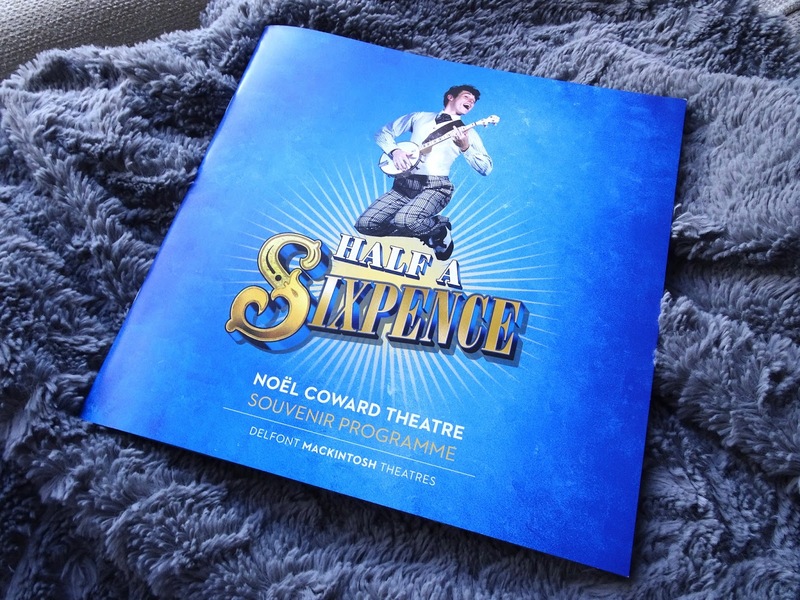 Following a successful run in Chichester, Cameron Mackintosh’s new stage version of Half a Sixpence has just transferred to the Noël Coward Theatre in the West End. This musical adaptation of H.G. 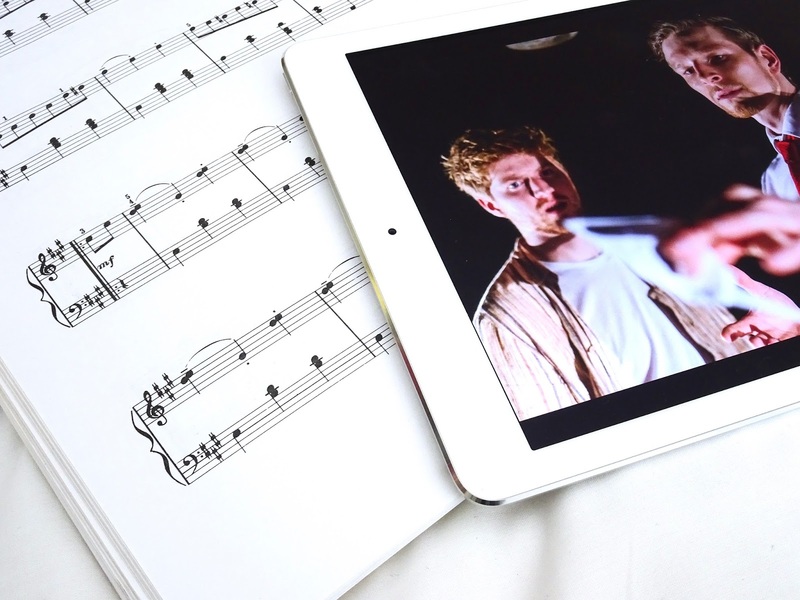 Wells’s semi-autobiographical novel ‘Kipps: The Story of a Simple Soul’, boasts a new book from Downton Abbey’s Julian Fellowes and a score by George Stiles and Anthony Drewe that combines reimagined numbers from the original 1963 production and a selection of brand new songs. 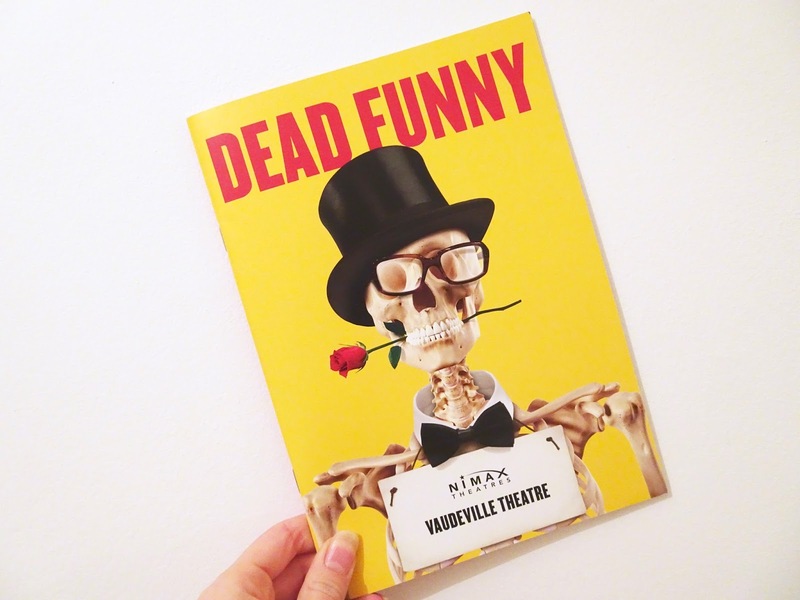 Set in 1992, Terry Johnston’s Dead Funny is a nostalgic celebration of what is considered to be the golden age of British television comedy, through the imagined antics of the members of the Dead Funny Society, a group that celebrate the work of comedians such as Frankie Howerd, Morcambe & Wise and Tommy Cooper. 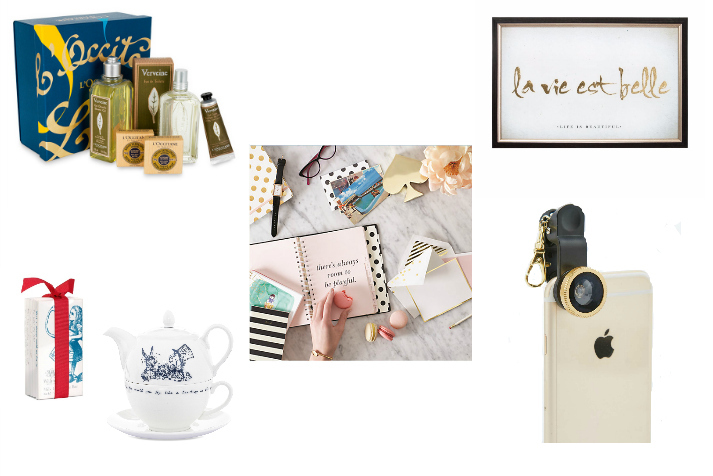 Since writing my last favourites post back in March, I haven't really updated my blog with current beauty bits I'm loving, and aside from my Sephora Haul, there hasn't been a single beauty post for about four months. 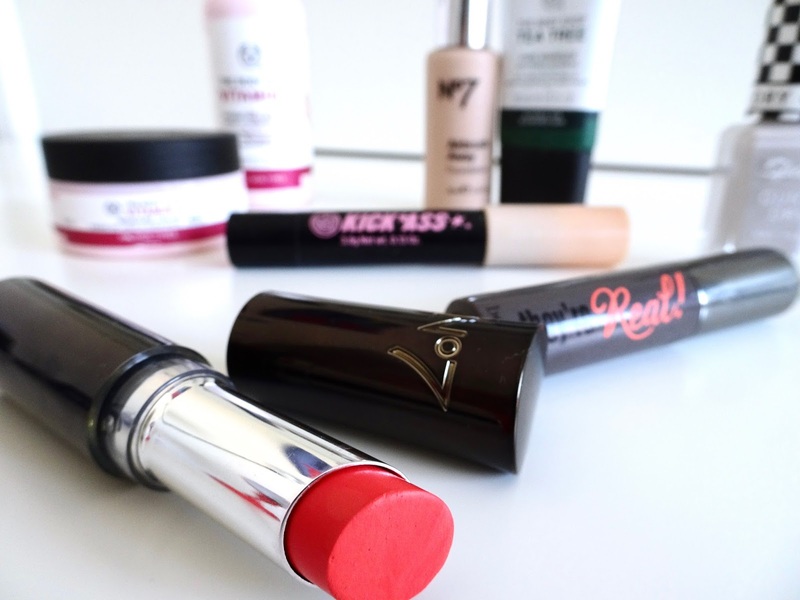 Before I started blogging, my interest in beauty was very minimal, and I would only ever try out new products if I couldn't find my current one, or had a real reason to switch things up. I didn't have a skincare routine, I rarely wore lipstick and I definitely didn't know about contouring or how to even begin to attempt winged eyeliner. 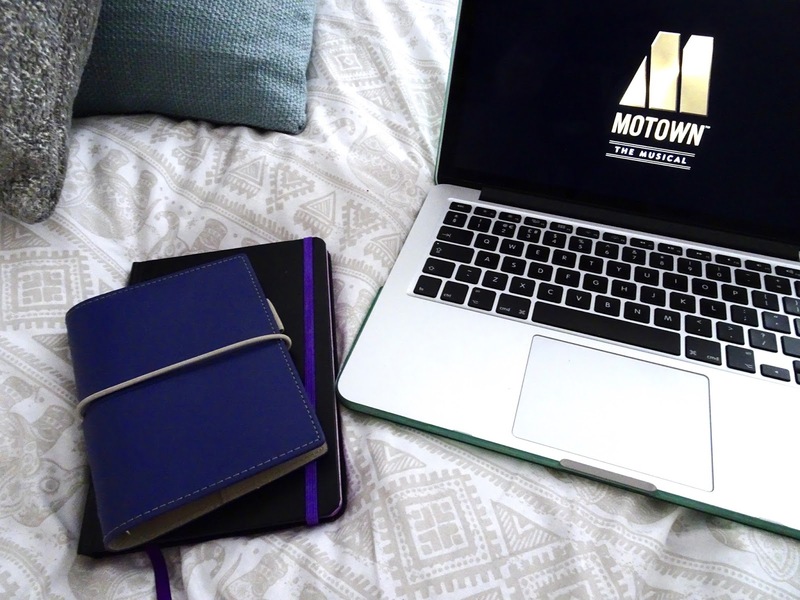 Since it arrived in the West End, I've been intrigued to see Motown, but being yet another jukebox musical, it was never quite at the top of my list. 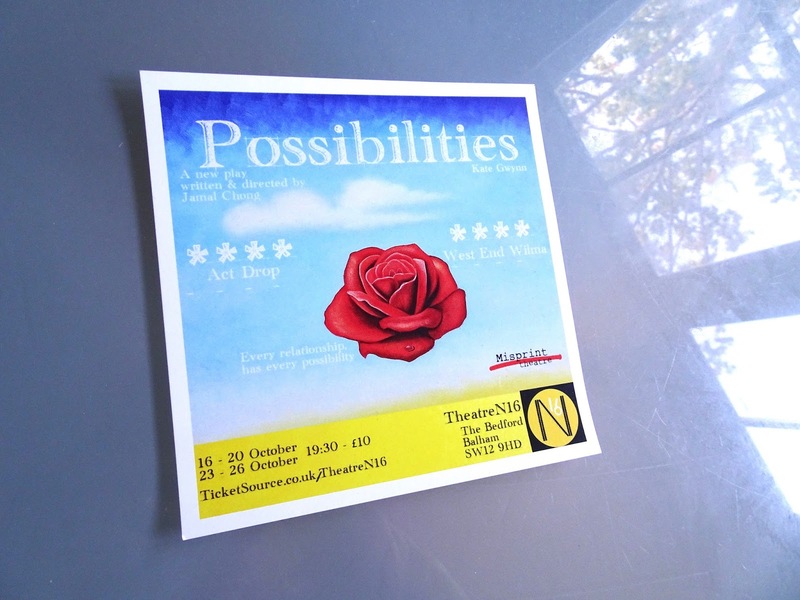 Possibilities is a short play by Jamal Chong examining the concept that there are an infinite number of routes and directions our lives could take, or perhaps even multiple versions of ourselves all playing out different possibilities simultaneously. More specifically, it takes a relationship between a young couple, played by Jamal Chong and Kate Gwynn, and presents scene after scene of endless possibilities for their relationship, from friendship, to a casual hook-up, through breakups, affairs and marriage. 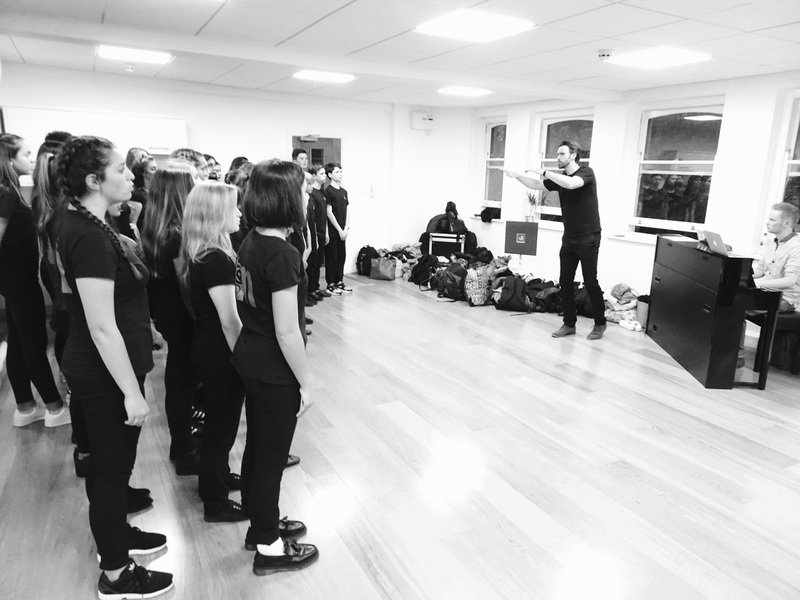 A few weeks ago I was invited over to the Umbrella Rooms for a Singing Masterclass with Michael Xavier, in celebration of the upcoming release of Miss Saigon: The 25th Anniversary Performance on Blu-Ray & DVD on 24th October. The critically-acclaimed and hugely successful revival of Miss Saigon which landed in the West End in May 2014 was filmed in front of a live audience on its 25th anniversary performance at the Prince Edward Theatre. Having seen the stunning production myself back in 2014, I was very excited to be joining this Miss Saigon-themed masterclass. Upon the news of her grandmother’s death, Jen is forced to travel to the coast to sort out Lily’s affairs. Leaving her moping husband behind, Jen and her twelve-year-old daughter, Marianne, spend a couple of weeks at Lily’s house, a place that Jen hasn’t been since she cut off all ties from her grandmother years before. As Jen delves into piles of paperwork and Lily’s belongings, she begins to strip through layers and layers of truth, each time uncovering yet another mystery or secret to disentangle. These monthly posts seem to be coming around more and more quickly, and I always panic when I see them next on my schedule, frantically racking my brains for anything remotely interesting I might have done with my life over the past four weeks. Thankfully, September was a pretty busy and eventful one, so I can actually feel like these posts have a purpose for once! Plus, now that it's autumn I'm sure there will be lots of festive fun to rely on for the next few. Life has been pretty busy since moving to London, and somehow it was only a couple of weekends ago that I had time to properly make the most of having a city on my doorstep. Tom took a rare weekend away from Pilot School and although he still had to dedicate the whole of Saturday to revision, we spent Sunday exploring areas of the city we hadn’t really been to before. 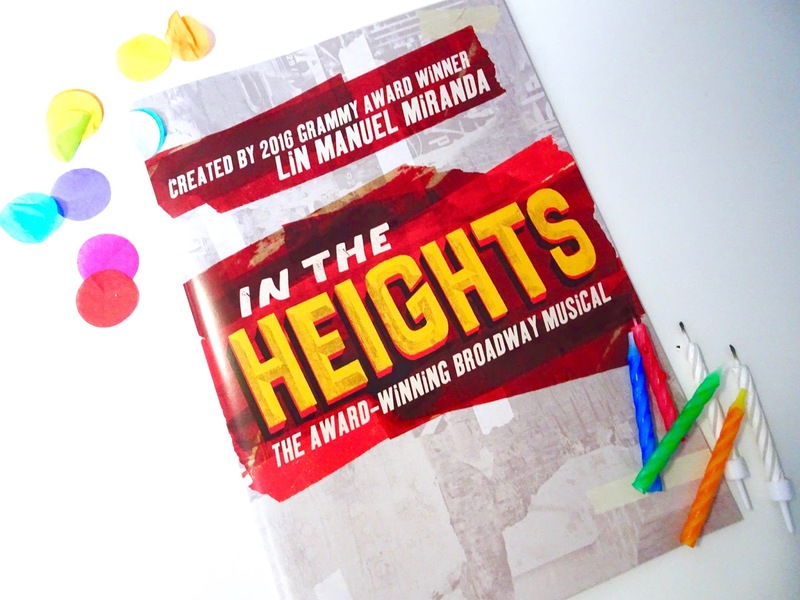 Following a short stint at Southwark Playhouse, In the Heights opened at King’s Cross Theatre on 3rd October last year. Although I had already seen it twice, I couldn’t turn down the opportunity to see it a third time, when invited to go along on Friday for an evening of celebrations for the show’s first birthday. Now that September is almost over and the weather is getting noticeably colder (and unfortunately rainier), it's time to accept that autumn has officially arrived. 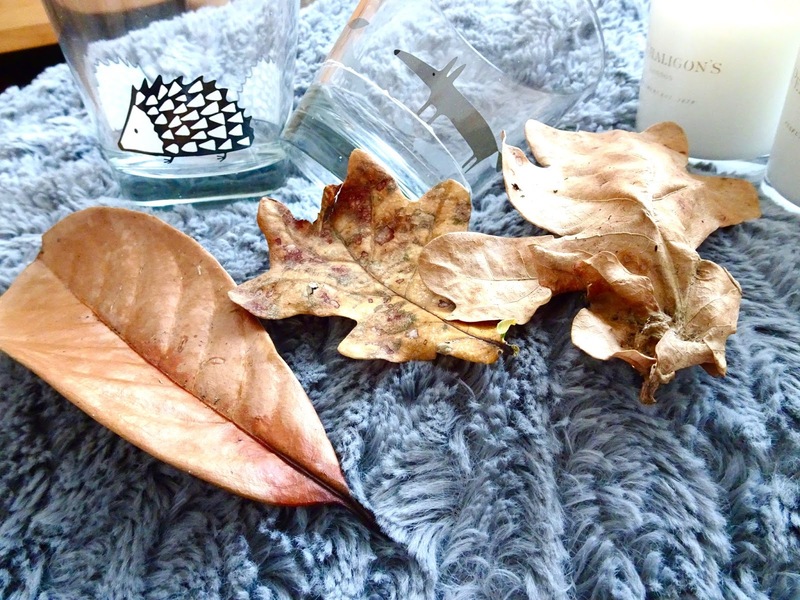 There's definitely a national divide between those who welcome all things autumnal with a lot of festive cheer, and those who dread the darker days and colder weather. Although I love summer, I definitely belong to the side who get excited to wrap up warm in the crisper weather and see the seasonal changes as one step closer to the most festive month of the year. After a short run at the Bread and Roses Theatre earlier this month, Mamet Leigh’s play, which looks at solitude and society in 21st century London, took on another three performances at the Steiner Theatre this weekend. 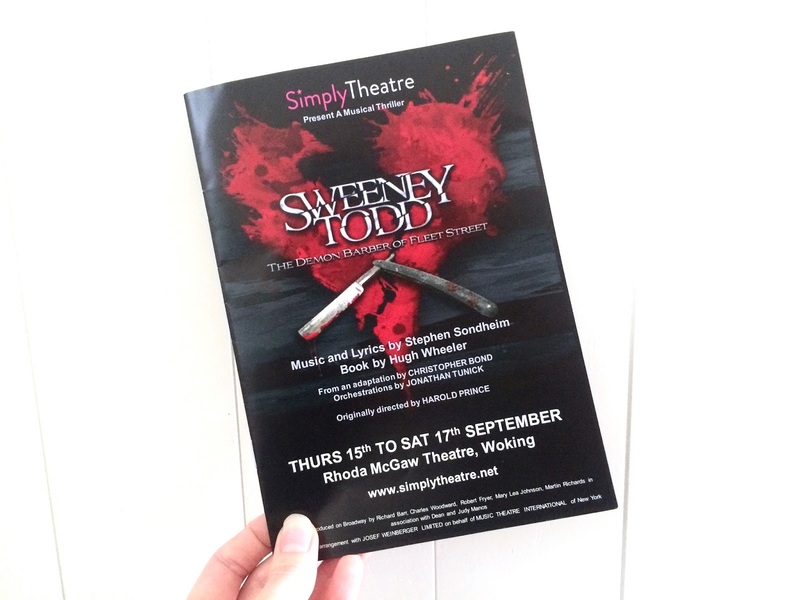 Having seen their exceptional production of Rent this time last year, I was really looking forward to seeing how Simply Theatre took on Sweeney Todd. Though Rent had set my expectations high, Sweeney Todd couldn’t be much more different musically so there was no chance of a repeat performance. 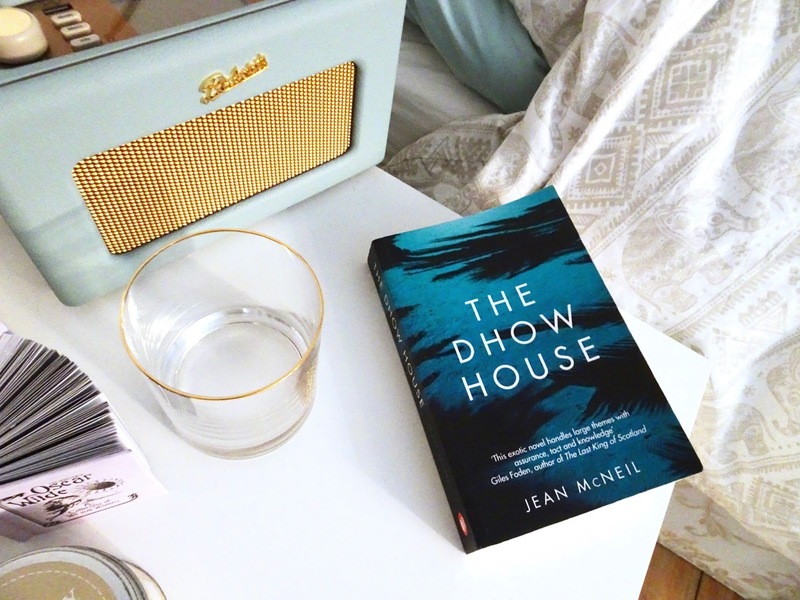 This month from Legend Press I opted to read The Dhow House by Jean McNeil, a novel about an English doctor, Rebecca, who has been forced to take leave from her position at an East African field hospital. The majority of the book follows Rebecca’s time at an aunt’s house in Africa, as she gets to know her family and the luxurious life they lead, worlds away from Rebecca’s previous realities. 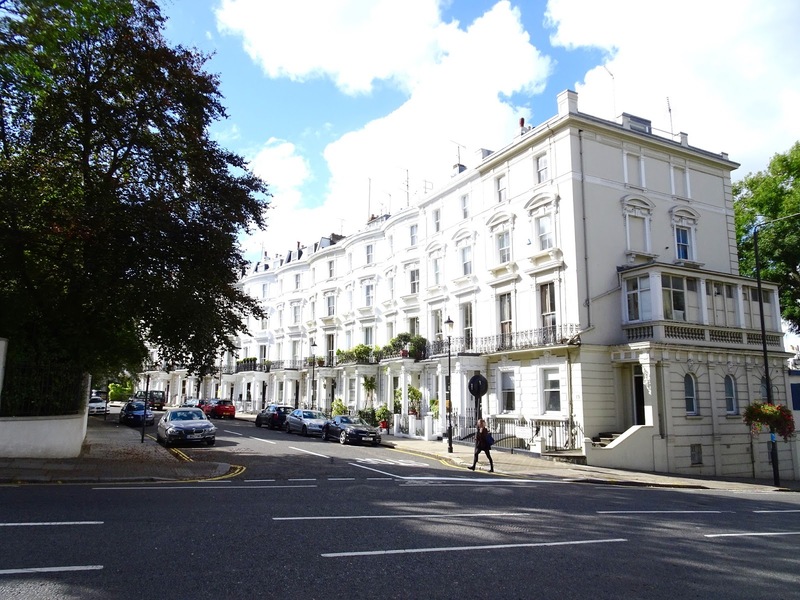 Although I had visited most London landmarks and attractions before moving here, since I only lived less than an hour away, there are still a surprising amount of infamous sites and interesting areas that I am yet to visit. And now that I’ve moved here I have no excuse, so I’m making it my mission to visit the following locations all within the next six months. That doesn’t sound like too much of a chore, does it? 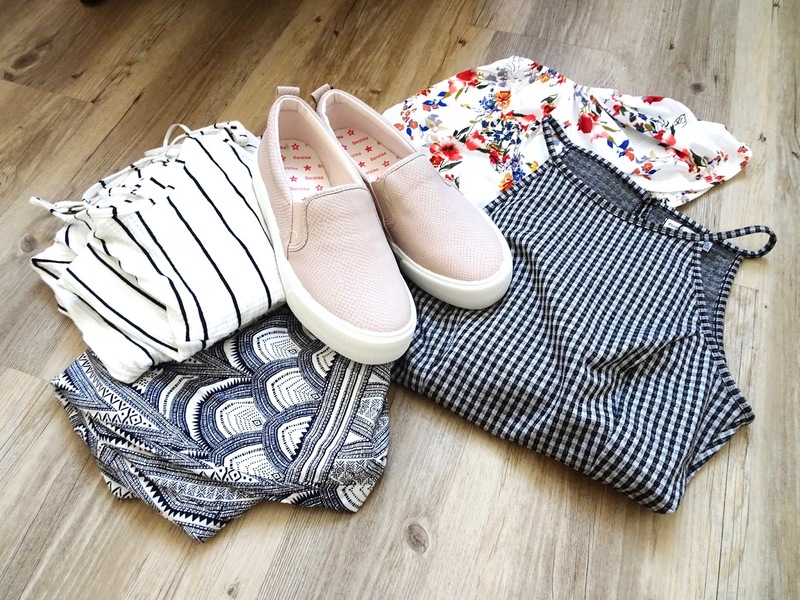 If you watched my vlog, or read High Street Haul: The Lisbon Edition, Sephora Haul or Lisbon Outfit Diary then you’ll probably already be sick of me squeezing as much content as I can out of a seven-day trip from back in June. After spending 3 months travelling last year and having endless places to write about, I just can’t let go of the travel section of my blog. 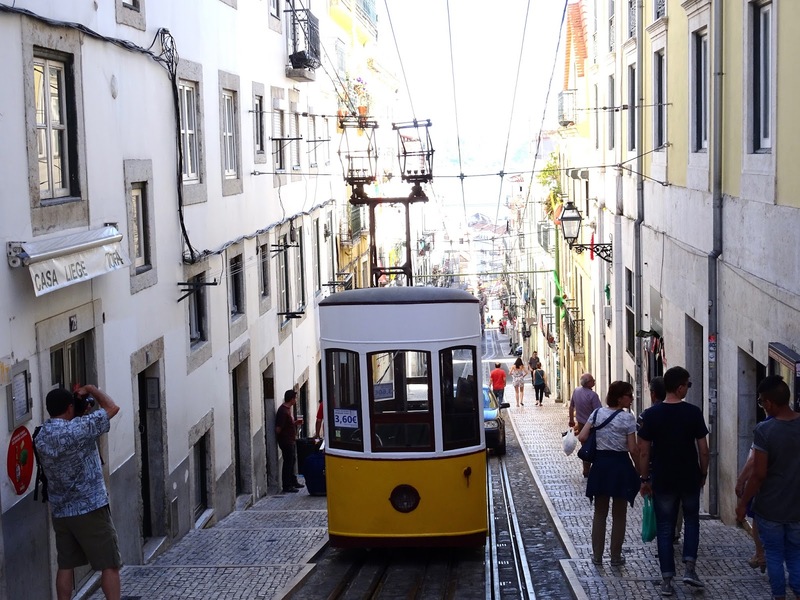 Plus, I haven’t actually blogged about the city itself yet, so just bear with me whilst I mention Lisbon for the final time. I promise. 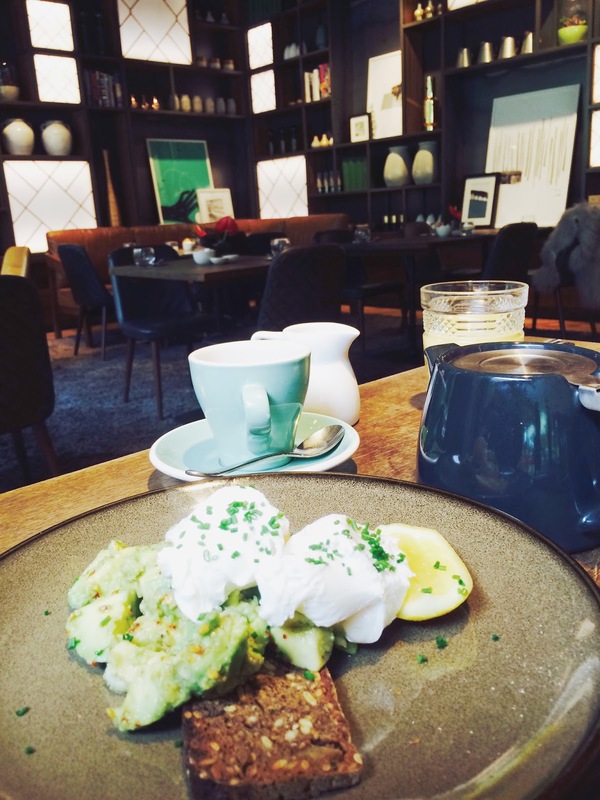 It's Sunday Brunch time. Which means it's already been a month since we moved to London. Which means that time is going to have to slow right down. I mean, we're just three Sunday Brunches away from Christmas. I'm just going to pause for a minute while you let that sink in. Mmhmm. 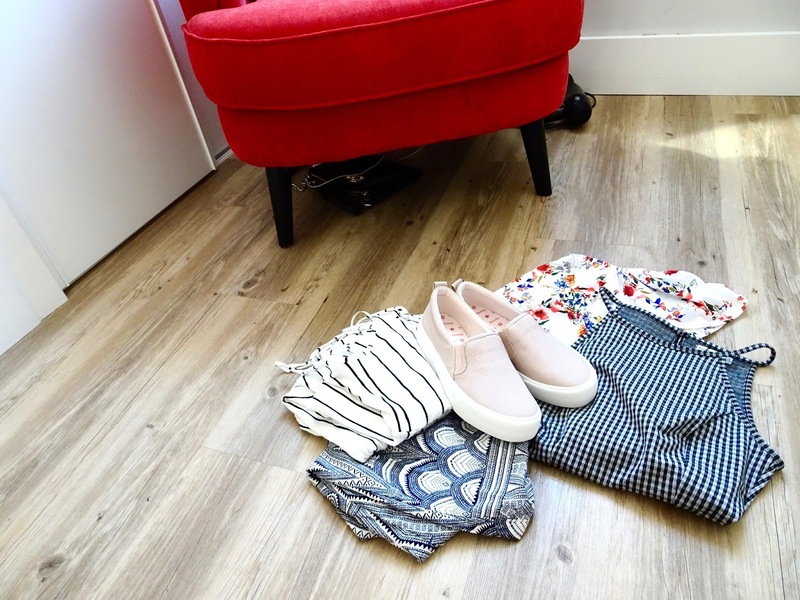 If you follow me on social media or have read my latest Sunday Brunch post, you will probably already know that I recently moved into a new flat in London with two friends. 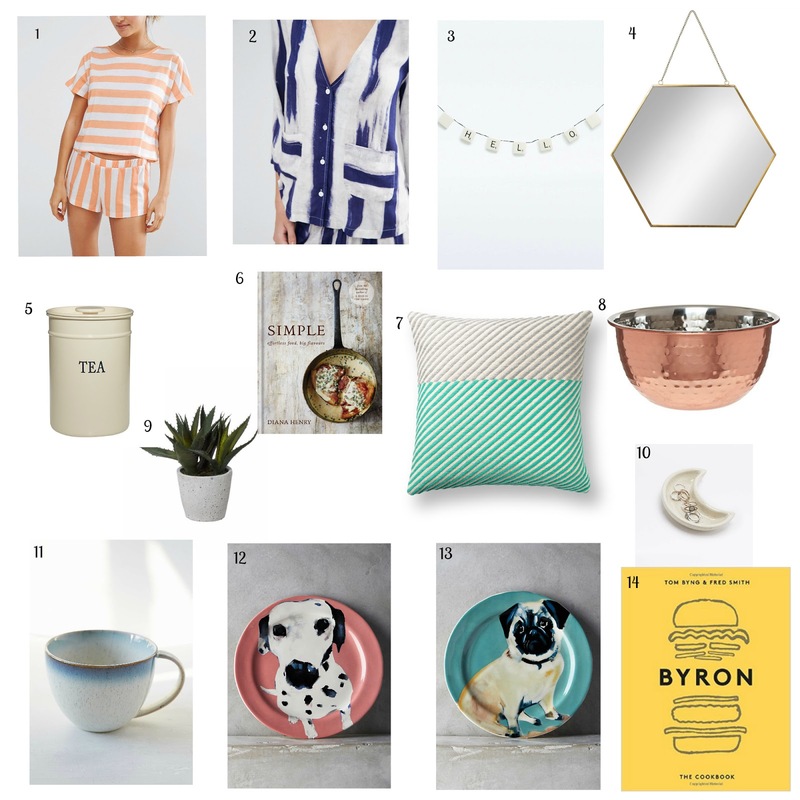 I've always loved looking at homeware and interior designs, but since we decided to make this move I have become more and more obsessed with reading homeware blog posts and scrolling through Instagram and Pinterest for decor inspiration. 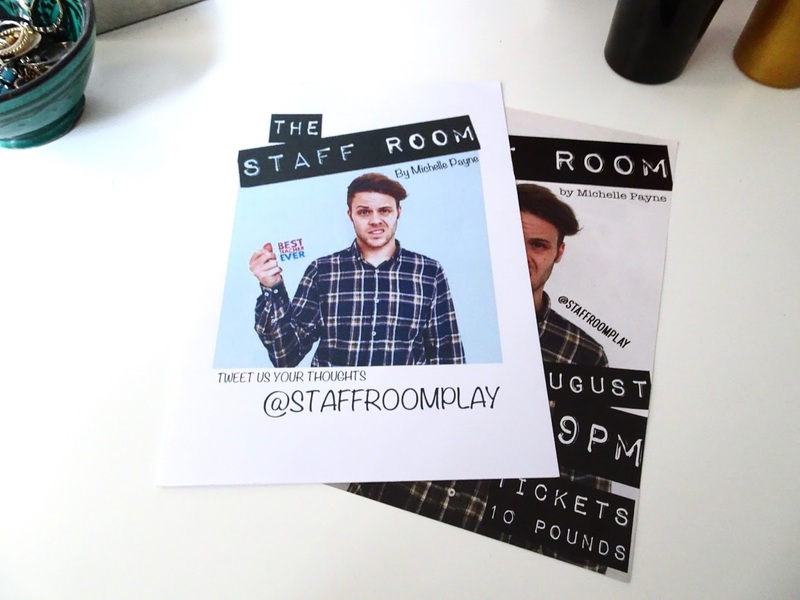 Above a busy pub in Balham, Theatre N16 hosted a full-house for the first performance of Michelle Payne’s one-act play, The Staff Room. Taking place entirely in the staff room of a secondary school in Essex, Payne’s play follows three very different young teachers as they attempt to make sense of teaching, teenagers and their own impending adulthood. 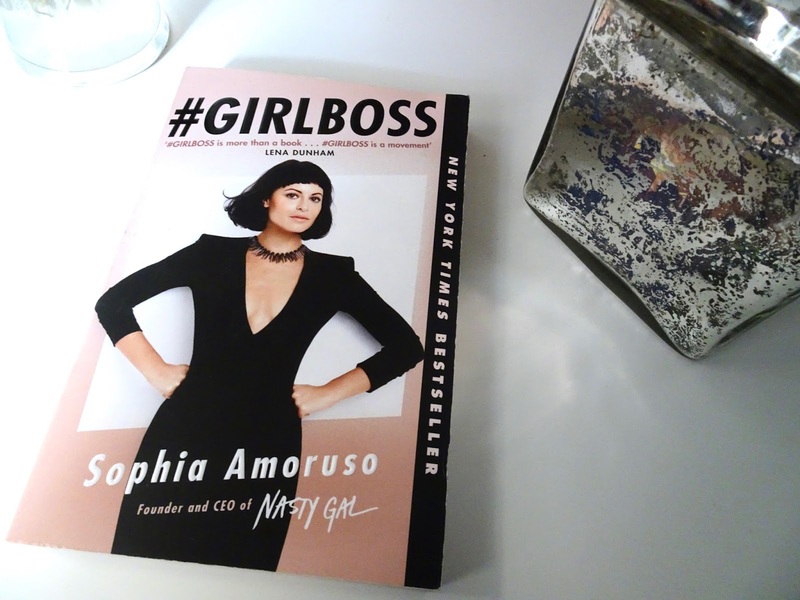 #GIRLBOSS was a book I’d wanted to read for a while; back when it was published last year it was everywhere, and even now it still seems to be a staple blogger photo prop. I’ll admit, I didn’t know much about the book before reading it. I was a complete sucker for the hype with this one, and was mostly intrigued to see what the fuss was about. If this post is live and you’re reading it then that means I’ve managed to get it up and scheduled in time before a few days with no WiFi. Go me. It’s been quite an exciting month. Last Sunday Brunch I was saying that we were about to start our flat hunt again, and am I super happy to tell you that as of yesterday we are now living in our beautiful new place. 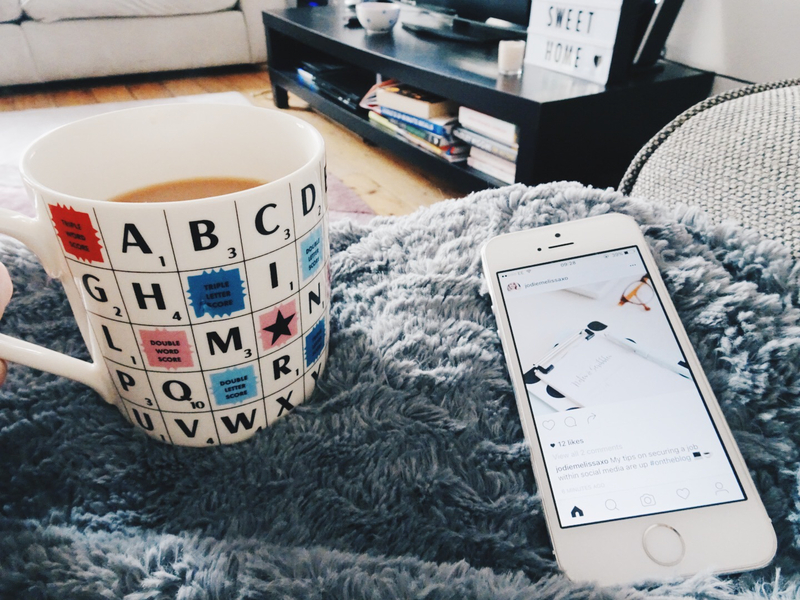 I’m hoping that living in London is going to mean a lot more exciting blog content, as there is now so much to do right on my doorstep. 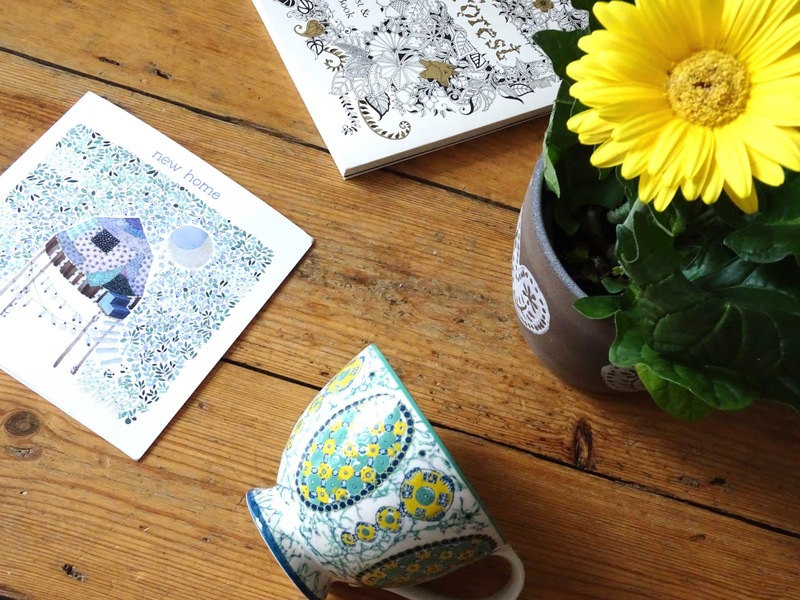 And of course, I will have at least a room tour post up for you in the next few weeks. 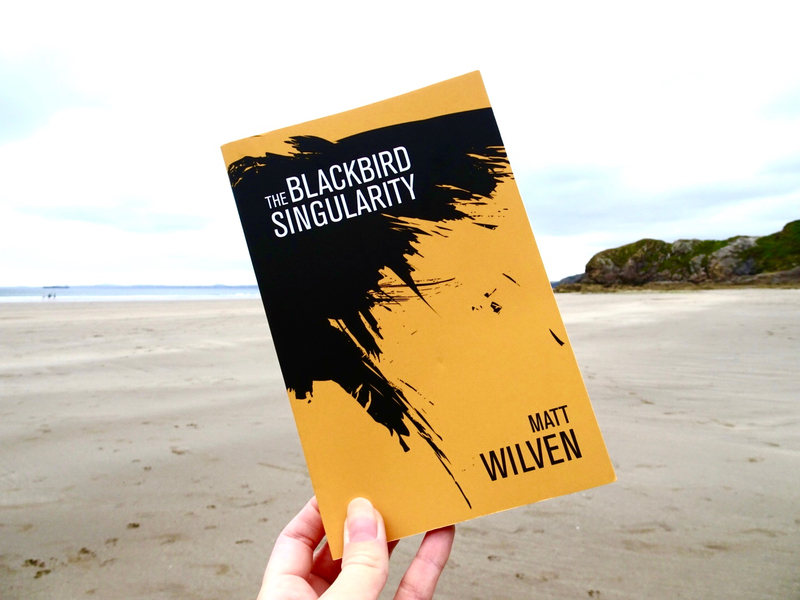 Although I was genuinely interested to read Lingua Franca, Chains of Sand and Owl Song at Dawn and really enjoyed all three, I knew before I even received my copy from Legend Press that my relationship with The Blackbird Singularity would be different. This is the kind of book that, in a store surrounded by hundreds of others, I would pick out for myself. This is the kind of story that I hope to find in the pages of every book I open. And this is the kind of narrative that I strive to write every time I pick up my own figurative pen. 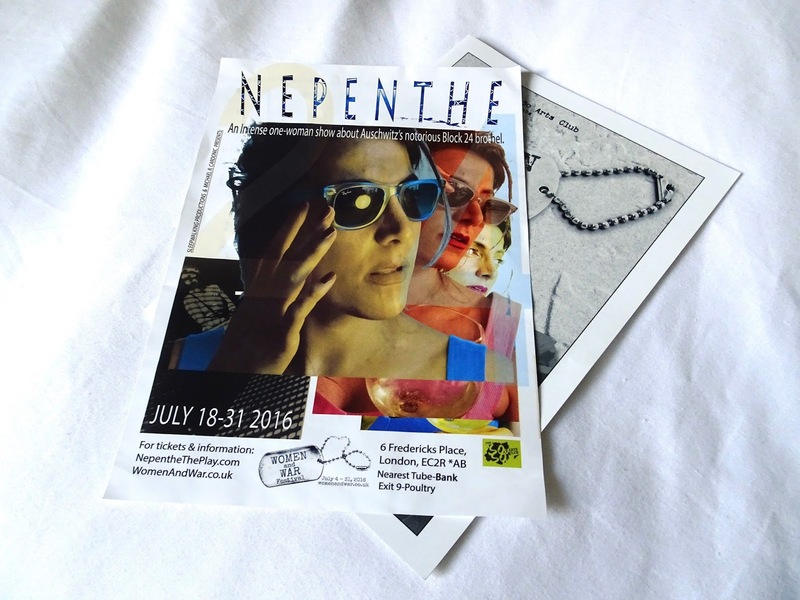 Following my visit to the So and So Arts Club last week for War Babies, the second show in the Women and War Festival that I chose to see was Nepenthe. 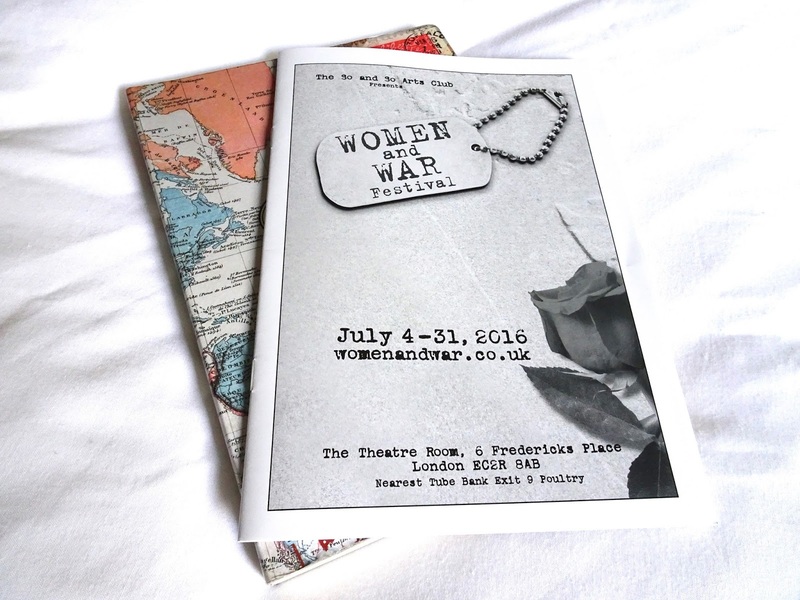 The Women and War Festival is a multi-discipline festival that is taking place at the So and So Arts Club throughout the month of May. On Tuesday evening I headed there to see War Babies, one of fifteen shows that are being put on in July. 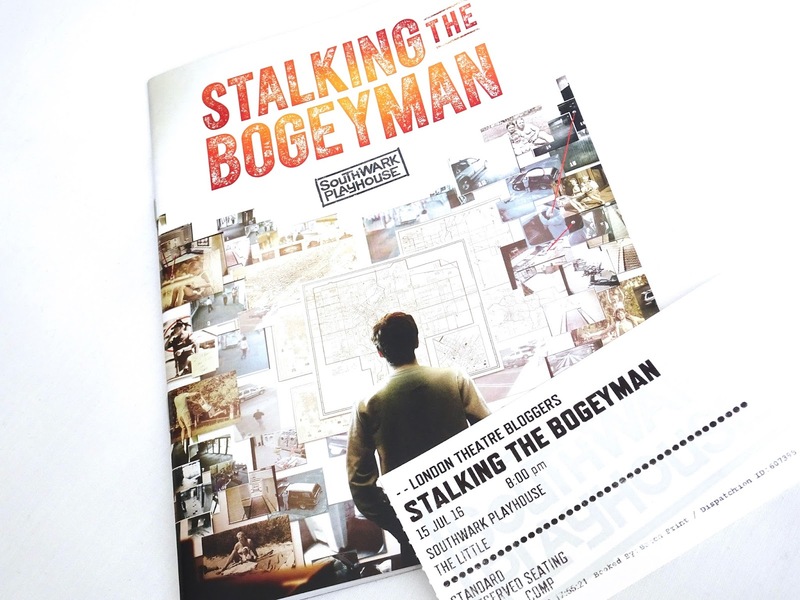 Based on true events and adapted from David Holthouse’s original 2004 newspaper article, Stalking the Bogeyman tells the story of David’s quest for revenge on the man who raped him when he was just seven years old. Hidden behind a locked gate in what seems to be the loading bay area for Waterloo station, this unusual and somewhat dingy approach to Network Theatre (perhaps inadvertently) captures an essence of what is to come before you’ve even entered the venue. 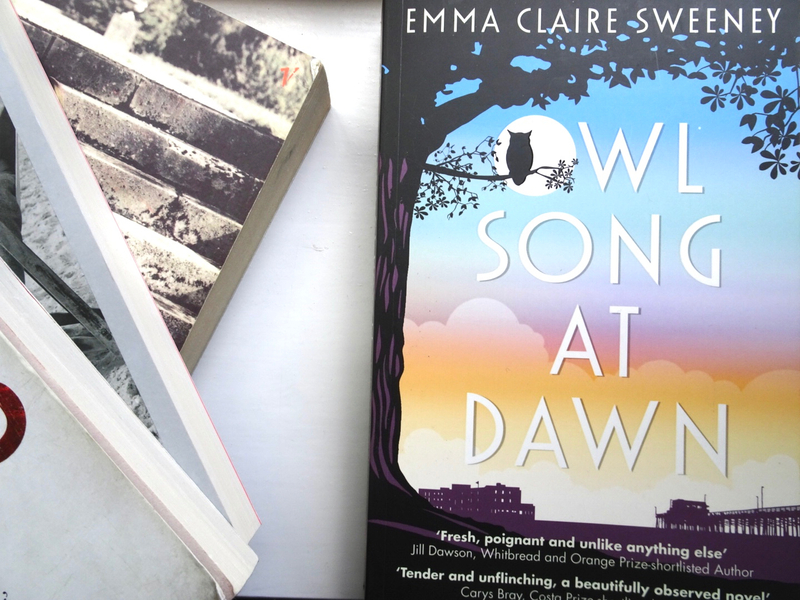 Emma Claire Sweeney’s Owl Song at Dawn introduces us to Maeve Maloney, a woman of nearly 80 who runs Sea View Lodge, catering largely to guests and staff with disabilities. This moving story traces Maeve’s reaction to the unexpected (and unwanted) arrival of an old friend, and these episodes of the present day are interspersed with passages from the past, filling in Maeve’s somewhat surreptitious past, memory by memory. 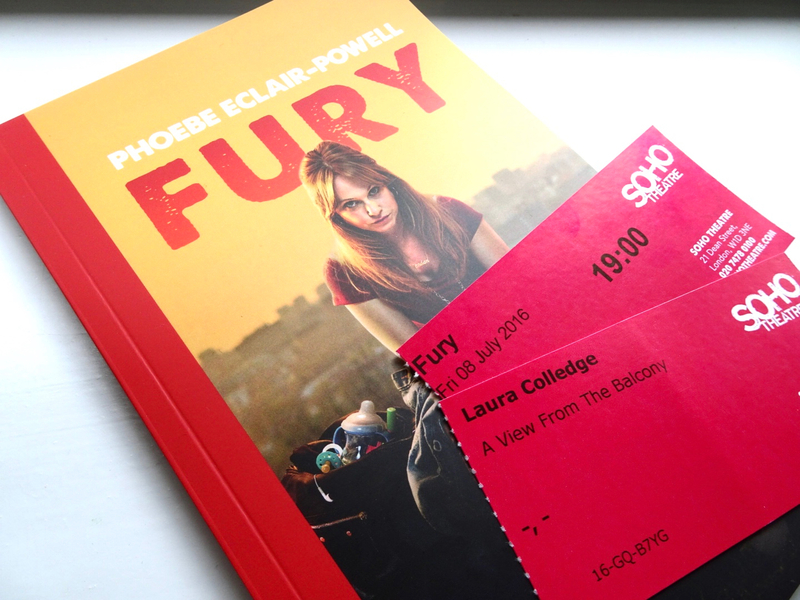 Written by Phoebe Eclair-Powell, winner of Soho Young Writers’ Award 2015, Fury is promoted as a modern-day Medea and presents a profile of Sam, a young single mum living in a council flat in Peckham. 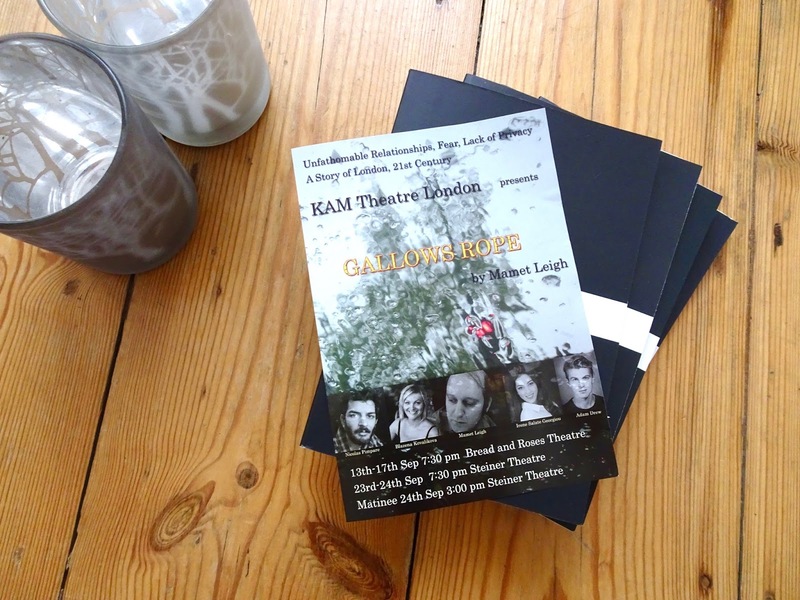 This 70-minute play offers a ruthless look at society’s punitive stereotyping whilst providing the audience with a difficult moral judgement: is Sam capable of being a good mother to her children? 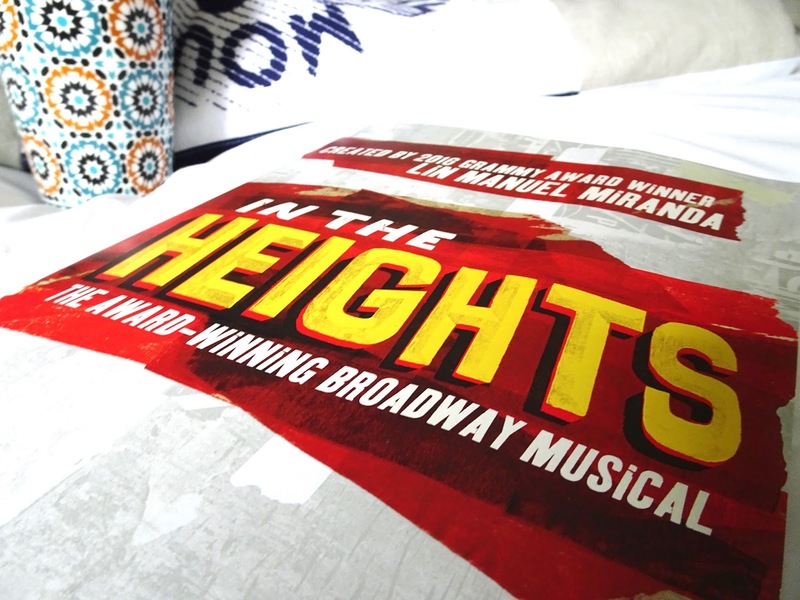 Ever since the Hamilton hype hit the musical theatre world and I became completely obsessed with the soundtrack, I’ve been desperate to see Lin-Manuel Miranda’s first success, In the Heights, which is currently on in London at the King’s Cross Theatre. A few years ago I would have walked past Sephora without batting an eyelid. 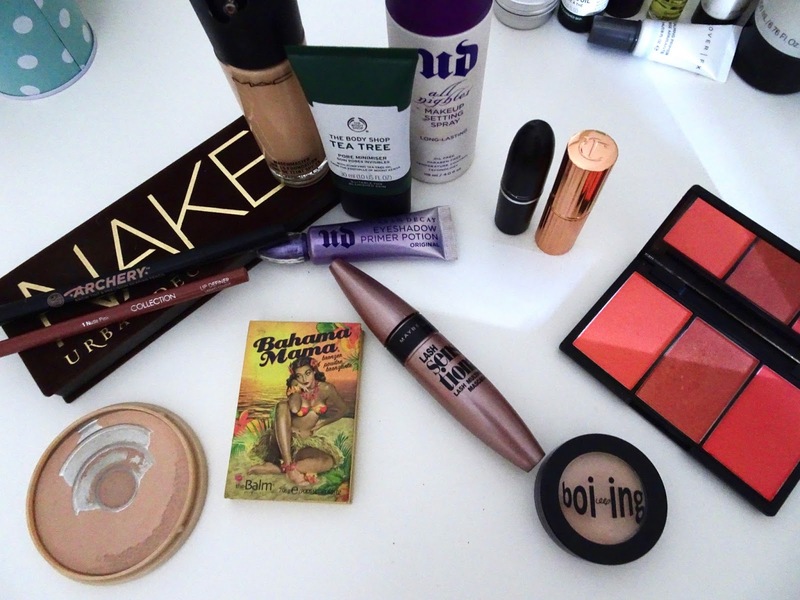 I only had the very basics when it came to makeup, i.e. foundation, concealer, powder and mascara, and I would only buy new products to replace any of these when they ran out. And even then I most often rebought the exact same product. Fast forward to now, and a combination of my own developing interest in makeup and skincare and the world of beauty blogging that I have unintentionally fallen into, meant that I was finding out if there was a Sephora in Lisbon weeks before we even made the trip. So June is over already? Wow. Not only do I need to exclaim that another month has flown by, but I have to come to terms with the fact that half the year has passed already. Yep, we're halfway through 2016. 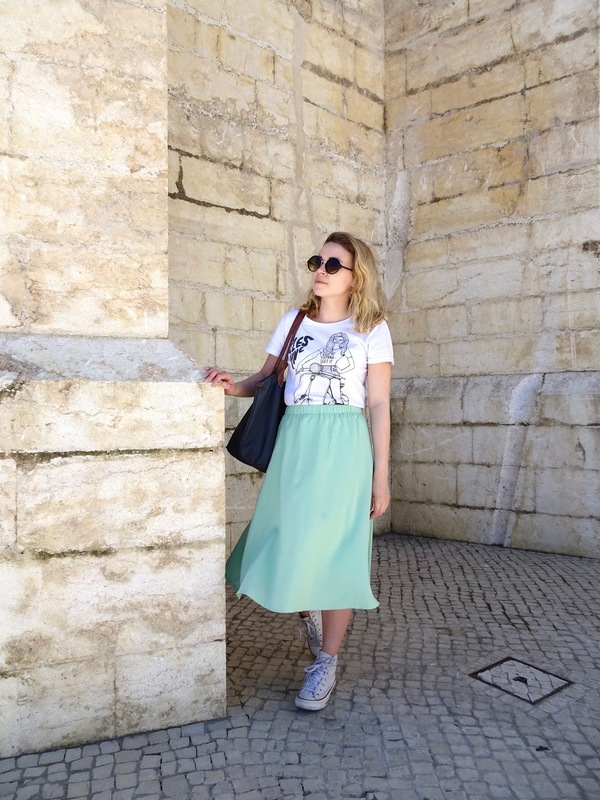 I’m always keen to find ways to include more outfit and style-related posts on my blog, so when I found myself (rather guiltily) returning to our apartment in Lisbon with a couple of shopping bags in tow, I had to make use of the mirror and backdrop of dreams. 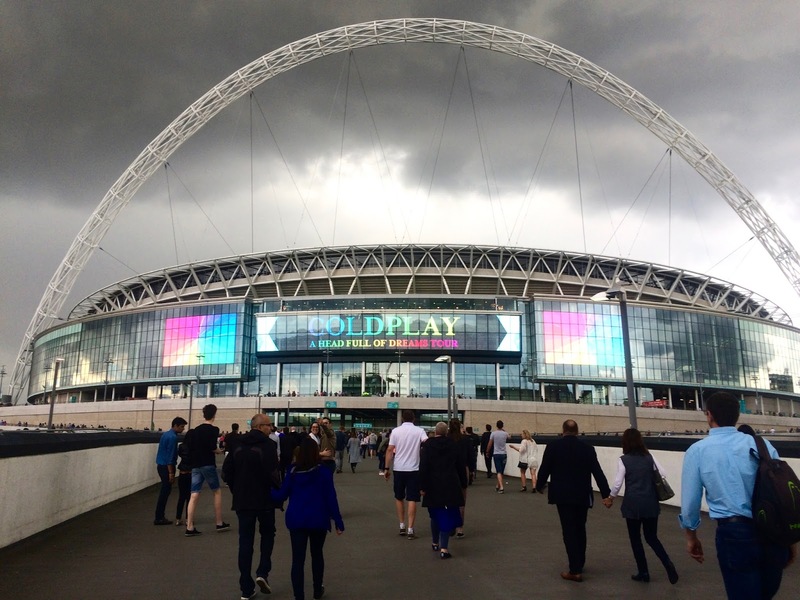 For some reason, Coldplay are a band that I have had a tendency to underappreciate in the past. Despite loving so many of their songs, I couldn’t tell you of a time when I reached for an album to listen in full. Maybe I never had. I suppose what I’m saying is that they are a band I’ve massively overlooked for as long as I can remember. But when a friend asked if I would be interested in taking her spare ticket, I was immediately tempted. It was an expensive ticket - probably more than I’ve ever paid for a concert - but when I really thought about their music and the fact that this was supposedly their last tour, it was an opportunity I couldn’t refuse. In all honesty, our main reason for visiting Bangkok at the end of our two-month trip was because we could get a cheaper flight home from here than from Cambodia. 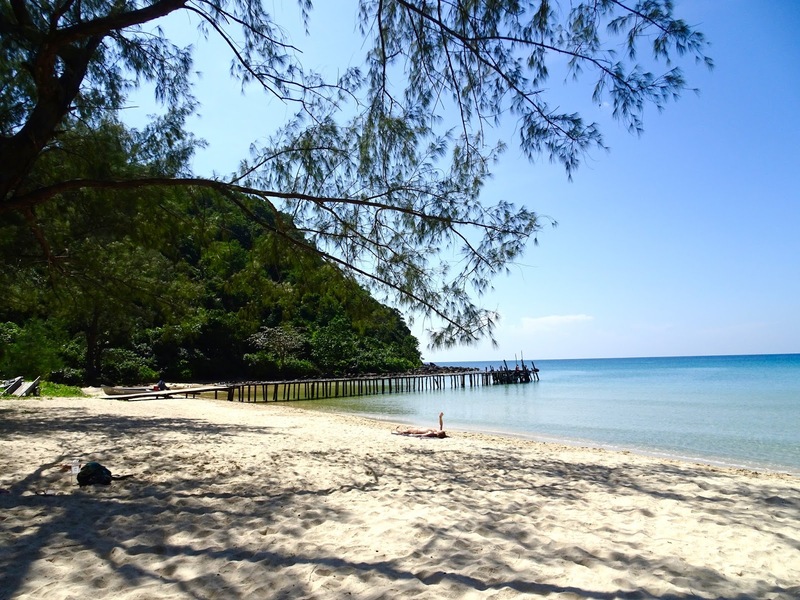 Although Bangkok was the first place Sam and Vicky had stayed on their trip almost four months beforehand, it suited them to revisit Thailand’s capital city with us, as they were then to travel on to Ko Tao for Christmas. 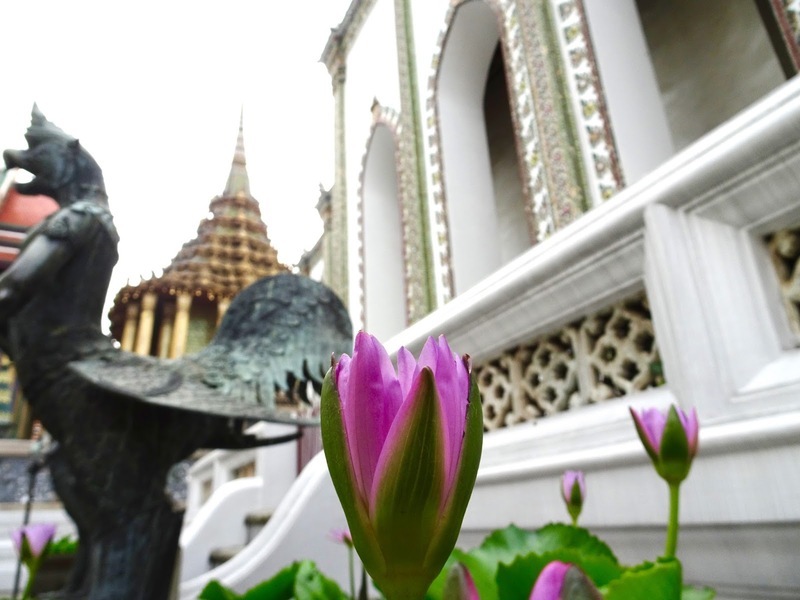 We had two days to spend in Bangkok, with our flight home leaving at 1am at the end of the second day. With Sam and Vicky having already spent some time in the city, they were able to show us around and recommend which sights we should squeeze into the 48 hours. 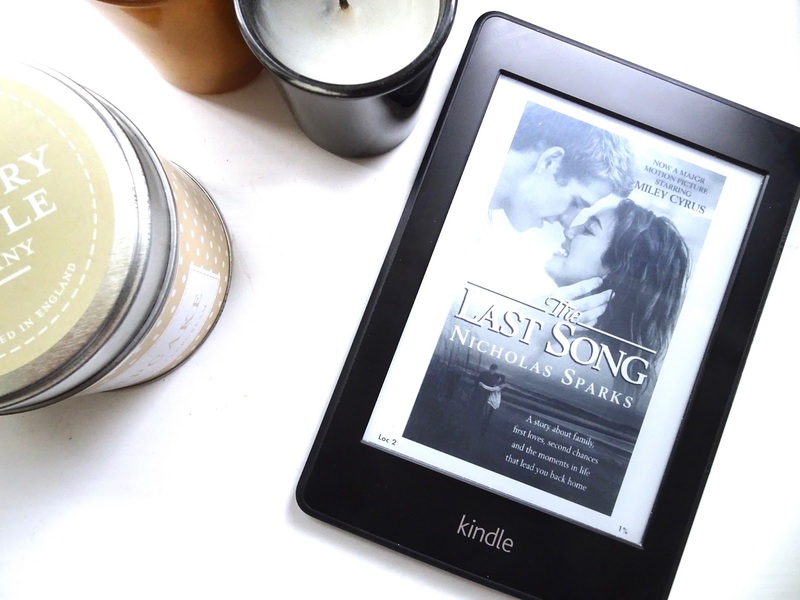 I’ve never really been a fan of Nicholas Sparks. [Pauses for gasps]. I wouldn’t go as far as saying that I dislike his books, in fact I think he creates pretty good stories. It’s his writing style that I struggle with, and more specifically how clichéd it is. That’s not to say his plots are necessarily predictable, it’s more to do with the language, phrases and structuring of sentences that make up his novels. The Notebook is forever my go-to example of one of the only occasions where I have preferred a film adaptation to its source text. 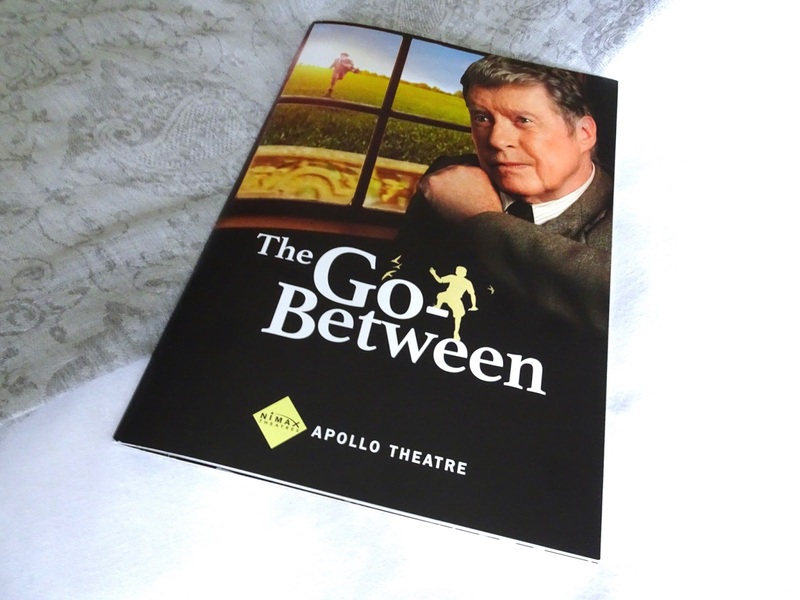 Based on the 1953 novel by L. P. Hartley, The Go-Between is the story of a man in his sixties, Leo Colston, as he reflects on the events that happened one summer of his childhood. 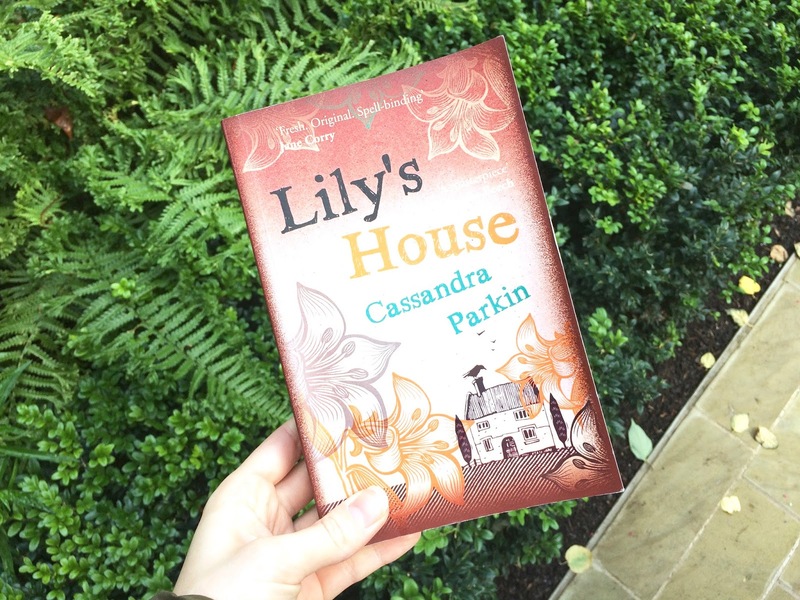 Leo spends this particular summer at Brandham Hall, the home of one of his school friends, where he finds himself caught up in delivering messages for a forbidden relationship between his friend’s older sister, Marian, and a local farmer, Ted Burgess. 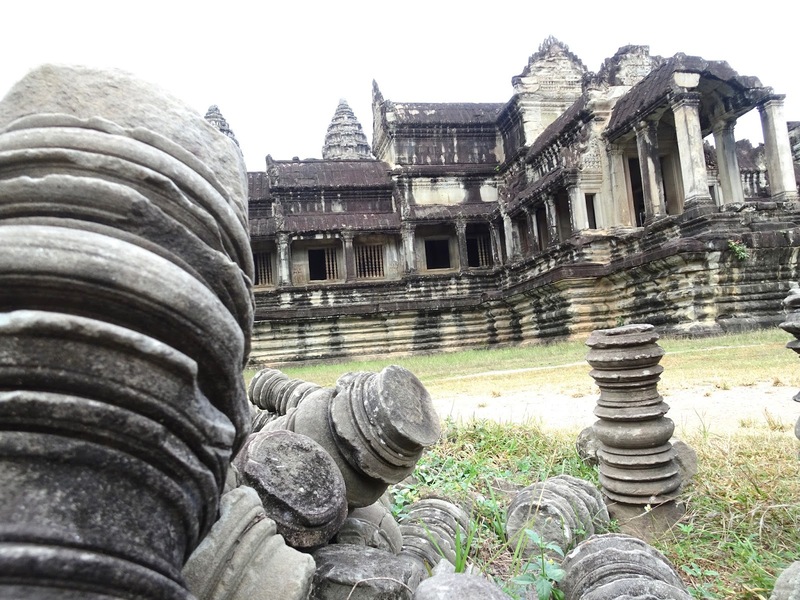 Siem Reap was the final place we were visiting in Cambodia, and one for which we had saved a total of five days due to the sheer size of Angkor, and the number of temples we wanted to see. 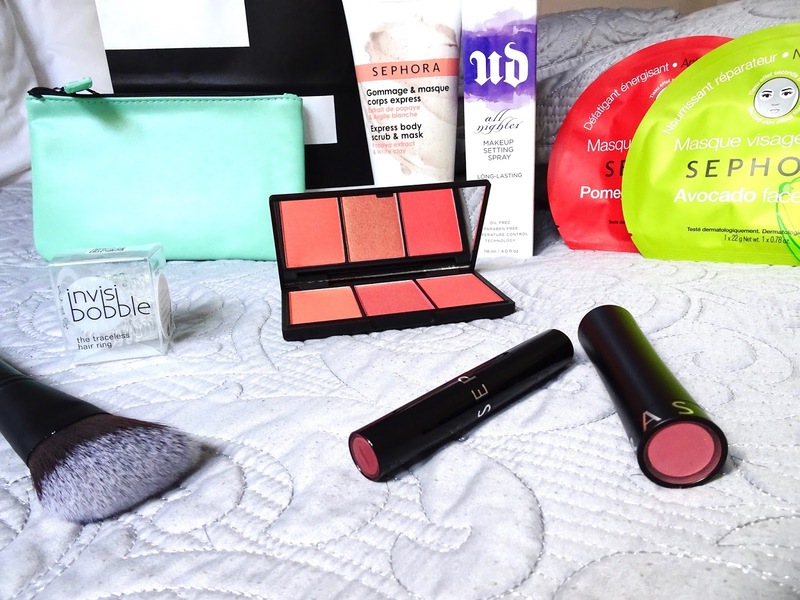 I haven’t written a beauty favourites post in a couple of months, and that’s mostly because I’m someone who likes to finish a product before I buy a replacement or try a different brand. That is excluding lipsticks of course, you can never have too many lipsticks. In fact, it wasn’t until I looked back on my previous favourites posts that I realised I do actually have quite a few products that I have recently added to my skincare and makeup routines. Since starting to write these posts once a month instead of every other week I had thought it would feel like ages between each post, but here I am again at the start of June wondering what happened to the last thirty days. I mean, June. Already? Are you sure? 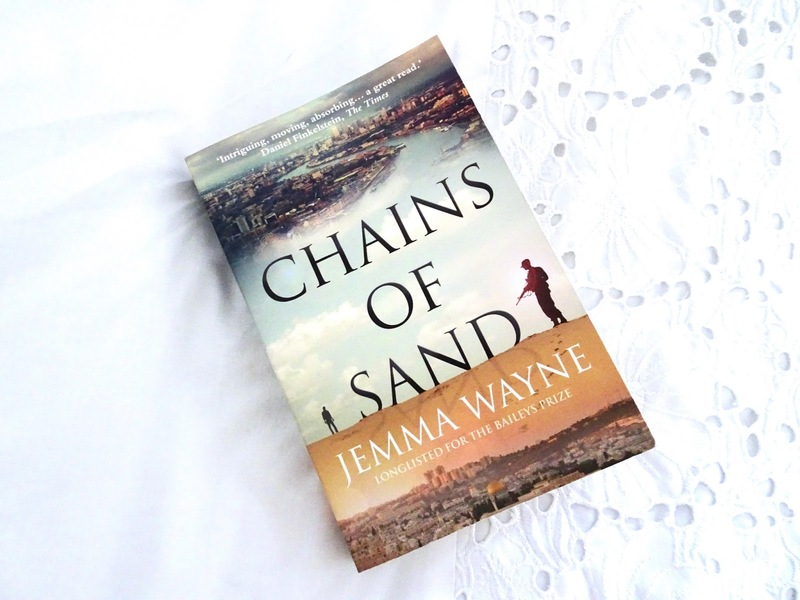 Chains of Sand follows two men in their 20s, both affected by the Israeli-Palestinian crisis: Udi, a veteran of the Israeli army, who longs to start a new life in London, and Daniel, a Jewish investment banker who thinks that leaving London for Israel will satisfy similar urges. 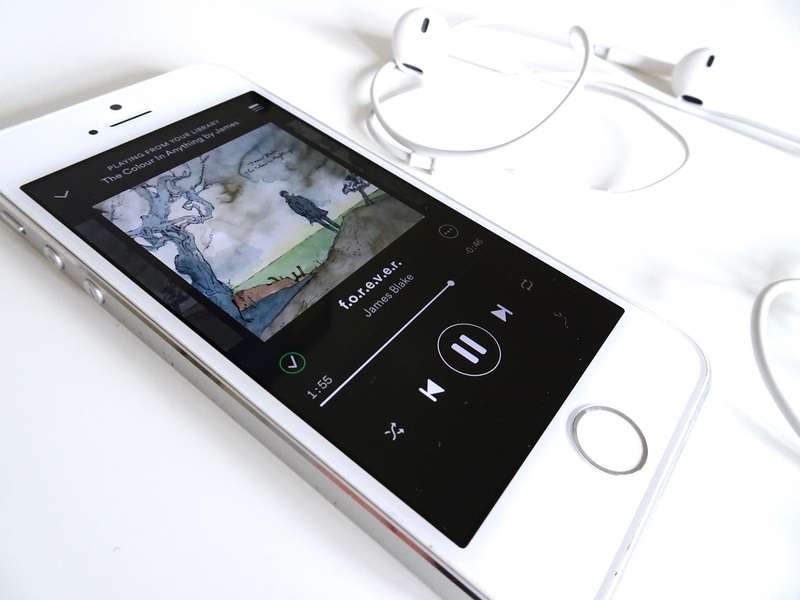 James Blake’s third album, The Colour in Anything is a hypnotic blend of his signature electronic pop and haunting vocals, and other musical influences. Weaved through the 17 tracks are strands of minimalist piano motifs, soul, R&B, dance, gospel and episodes of a cappella. I’ve never been someone who can commit to choosing their favourite books, films or songs; and if I was forced to, it would be a decision of the most brutal kind, and one that would take me weeks to figure out. 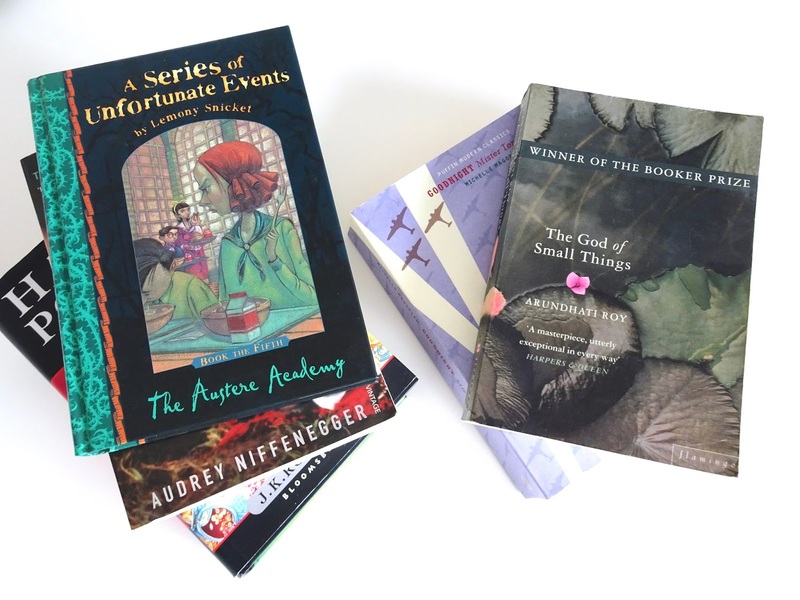 This left me with a bit of a dilemma when I realised I wanted to write a post about some of my favourite reads, so I’ve taken the easy way out and am going to talk about five books that I would most definitely read again. And again. These are by no means my favourite books of all time, neither are they my most-read five, or the five best-written books I’ve ever read. You get the picture, I’m sure. 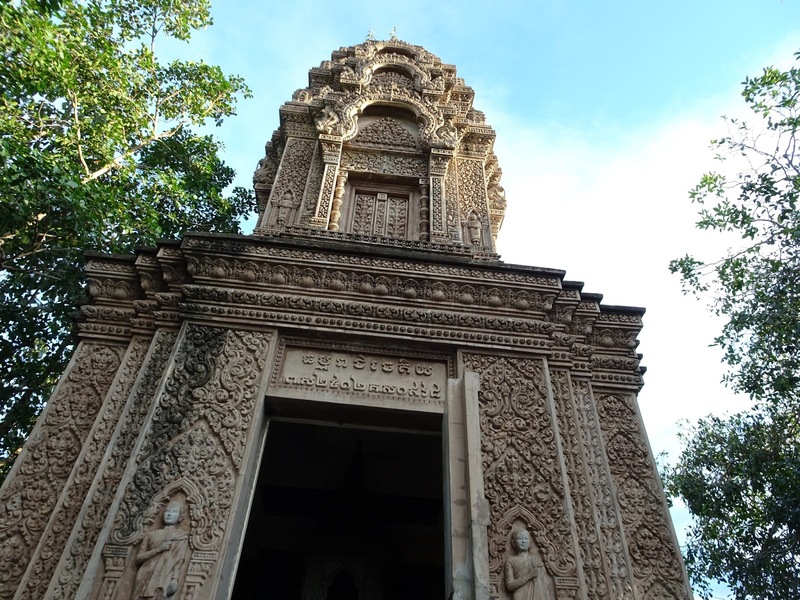 Our time in Battambang began with an overnight bus journey from Sihanoukville. From Sam and Vicky's previous experiences and from having spotted a few sleeper buses, we were hoping our bus would be in the airline seat style. Instead, when we got onto the bus, we were confronted with two rows of single bunk beds, with a very narrow aisle down the middle. Naturally, we assumed that each bed was one seat, but that would have been much too comfortable. Each bed was in fact two seats - just imagine having to share with a stranger. Our beds were the top bunks, which, for someone of 5ft2 involved a lot of jumping and clambering. Deciding which production to see next at the theatre is usually a bit of a dilemma. Obviously in an ideal world I would have the time and the funds to be able to see everything, but in reality I have to pick just one or two from my ever-expanding list. 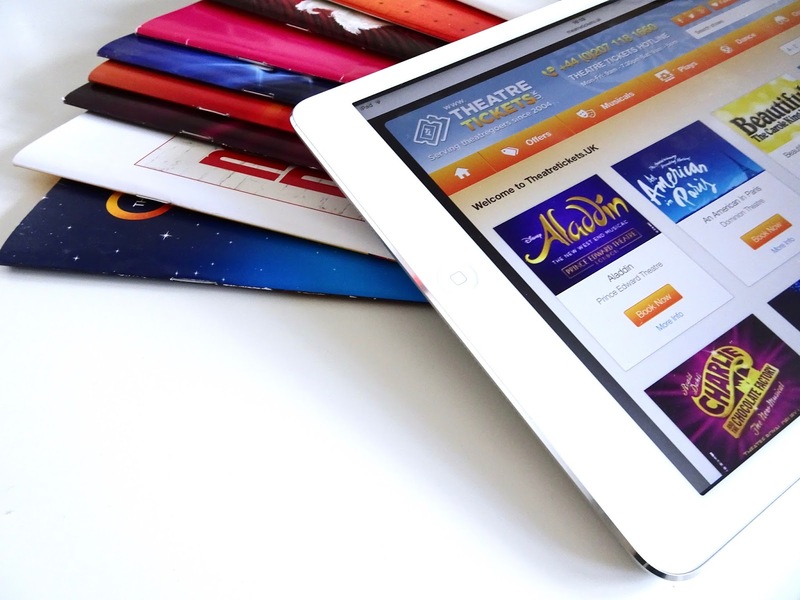 As I know how tricky making that decision can be, I've pulled together a list of five productions to see in the West End this year. The following five are a combination of productions I've already seen, and a few I'm desperately hoping to catch. 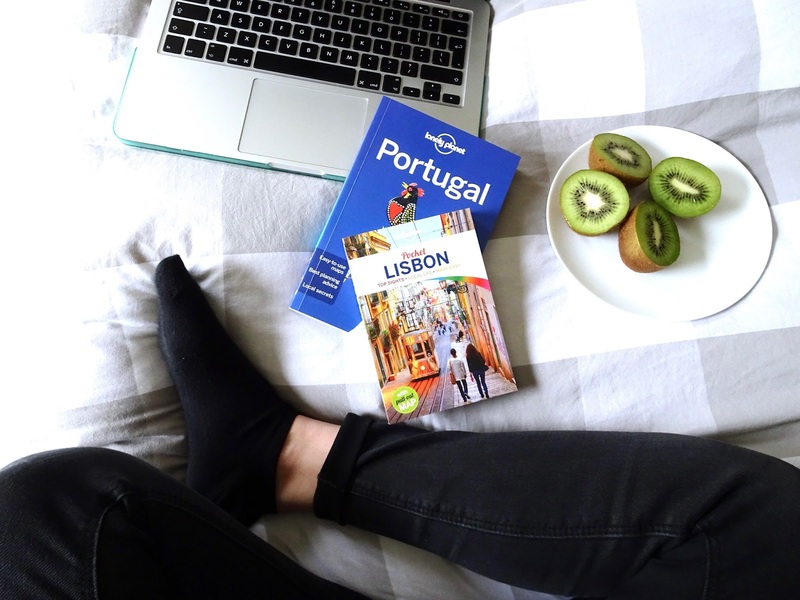 Whether you're someone like me who tries to fit in all the shows, or you just like to plan a couple of trips to the West End each year, this list should give you a good starting point with where to venture next. n.b. This image contains a proof copy, not the final cover of the book. As of this month I am part of the the Legend 100 Club, meaning that each month Legend Press will be sending me a copy of one of the books they are about to publish. And, of course, I will be posting my reviews on here for you all to see. 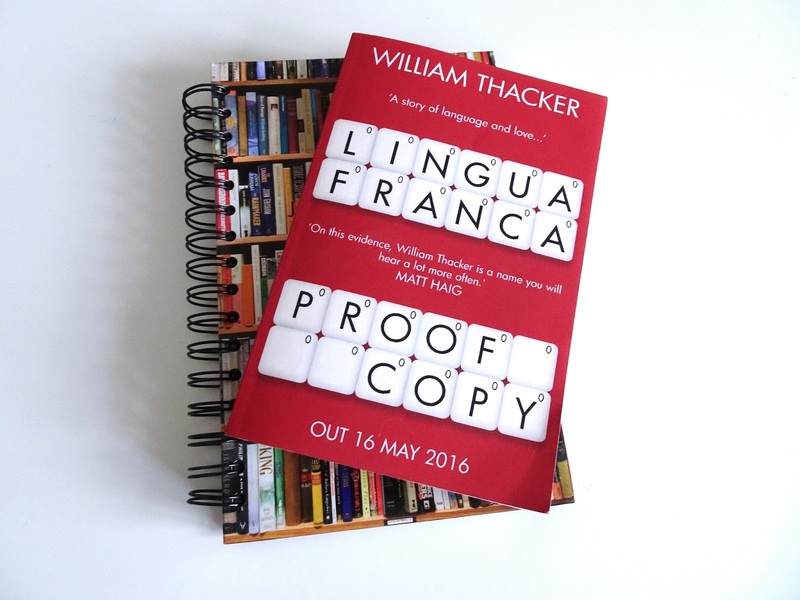 This month I opted for Lingua Franca by William Thacker. The book follows Miles Platting, the founder of a naming rights agency, Lingua Franca, that is attempting to sell the name of every town in the UK to corporate sponsors. We join Miles towards the end of the story in chronological terms, as he has just been pulled from a shipwreck into a hospital, or perhaps world, where verbal communication is banned. 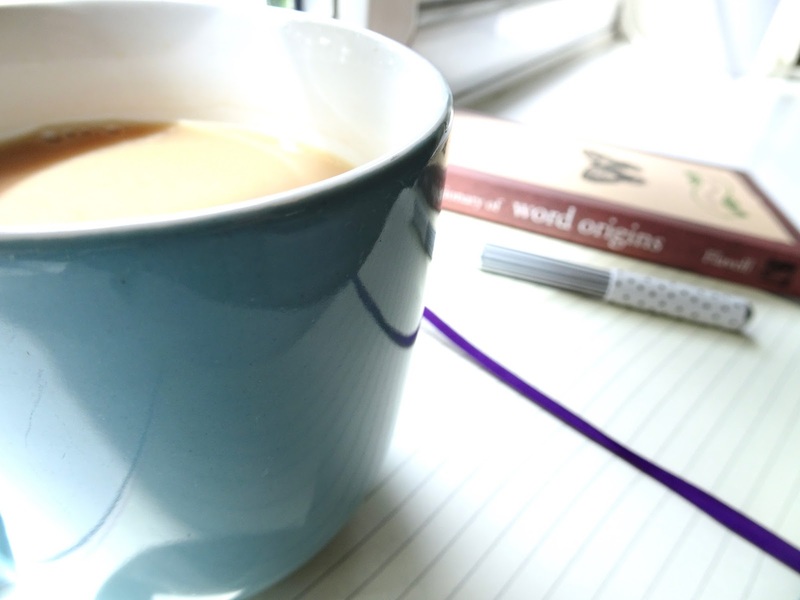 Miles begins to write down his story, which is punctuated with episodes from his situation in the present. After a week or so in rural Cambodia, it was time to head down to the coast. Our journey from Sen Monorom to Sihanoukville didn't exactly go to plan. Karma hit Tom and Sam, and they ended up with some kind of food poisoning from being greedy and going for a second dessert. The worst of Sam's had passed by the morning of our journey, but Tom woke up feeling awful and full of lemon meringue pie fuelled regret.